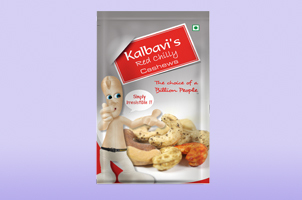 Kalbavi Cashews is the ultimate in taste and crunchiness. I love the chatpata chaat flavoured cashews, please keep me informed about new products. Your cashews are the best cashews that i have ever had. The crispiness of your cashews is amazing . Nice clean & cripy kernels , really top notch in quality. You deserve to be very proud of the quality of your kernals, keep it up. The online ecommerce facility of kalbavi cashews is available..
Kalbavi Cashews is a leading manufacturer and exporter of Cashew Kernels in South India estblished in the year1987. We are a registered partnership concern with the partners having an experience of over 5 decades in commodities like cardamom, pepper, Arecanuts, Copra, Food grains, pulses and other forest produces. . Copyright © 2014 Designed by : GCS. All Rights Reserved.